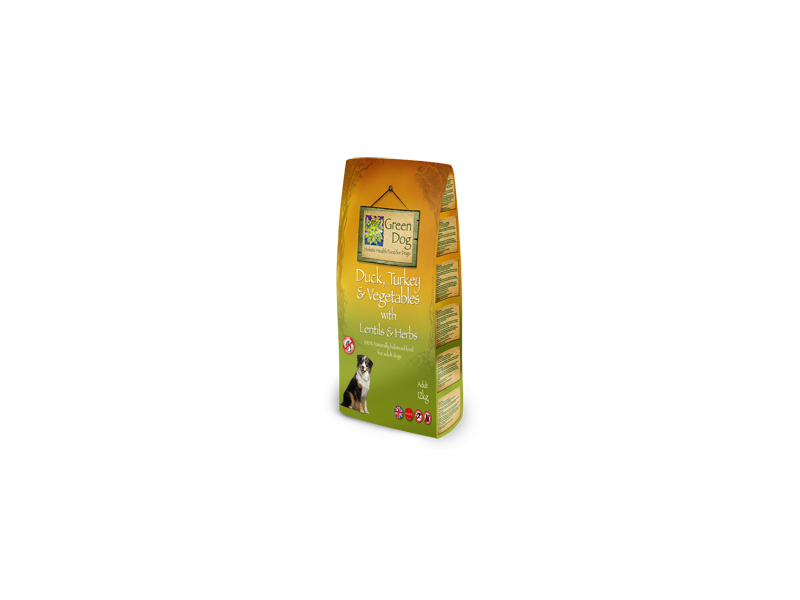 Green Dog products are based on the concept of Holistic Nutrition which reflects the natural diet of the dog. This supports the immune system, promoting digestive vitality through maintenance of digestive flora, and enabling the system to cleanse and detoxify itself. Used regularly they may help maintain the parasite population at a balanced level. Duck 32%, Turkey 20%, Pea 15%, Potato 13%, Sweet Potato 10.5%, Lentils & Herbs 7%, Linseed, Carrot, Tomato, Spinach, Cranberry, Turkey Oil. Protein 24.5%, Oil 11%, Fibre 4%, Ash 7.5%, Moisture 8%, Omega 6 – 1.62%, Omega 3 – 0.55%. There are currently no questions for Green Dog Food DUCK with Turkey & Veg - be the first to ask one!